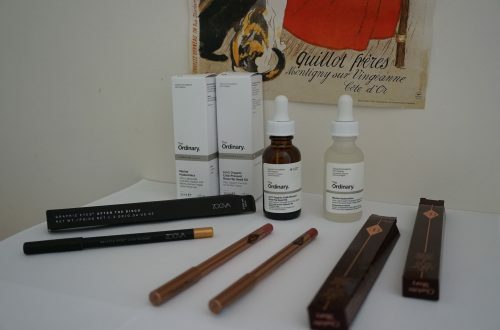 I love Japanese craftsmanship and having heard a lot about Rae Morris brushes, I decided to give them a go when Cult Beauty made them available in Europe.I went ahead and ordered five of them (thank goodness Cult Beauty had a promo code available at the time and that made the purchase easier. I am not going to lie, they are bloody expensive!). 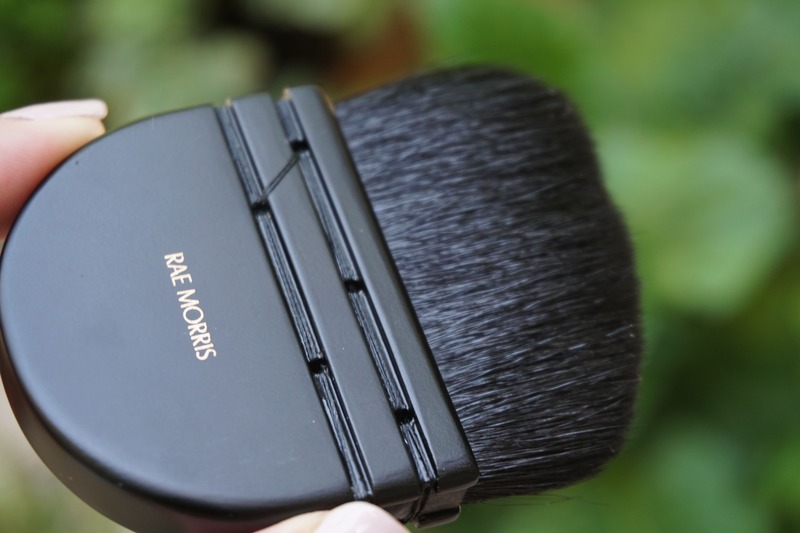 So, there you go, my Rae Morris brushes first impressions! Rae Morris is a renowned makeup artist and she has brought out makeup brushes made in Japan since approximately 2012. 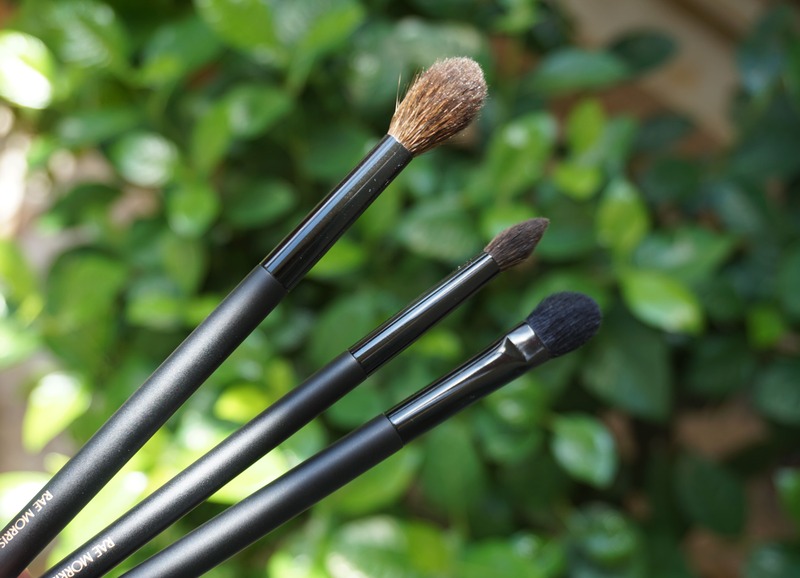 Ever since there have been three versions of the brushes. Currently we are on the 3rd generation. Rae Morris said that this time her brushes are made by one of the two living master fude makers (fude means brushes in Japanese) , Mr. Wei. On the second generation of the brushes, magnets were stuck on the bottom of each brush, making them the first magnetic brush line. Since then, her brushes can stand vertically on metal surfaces, such as the Rae Plate and the Rae Frame. The name Jishaku means magnet in Japanese. 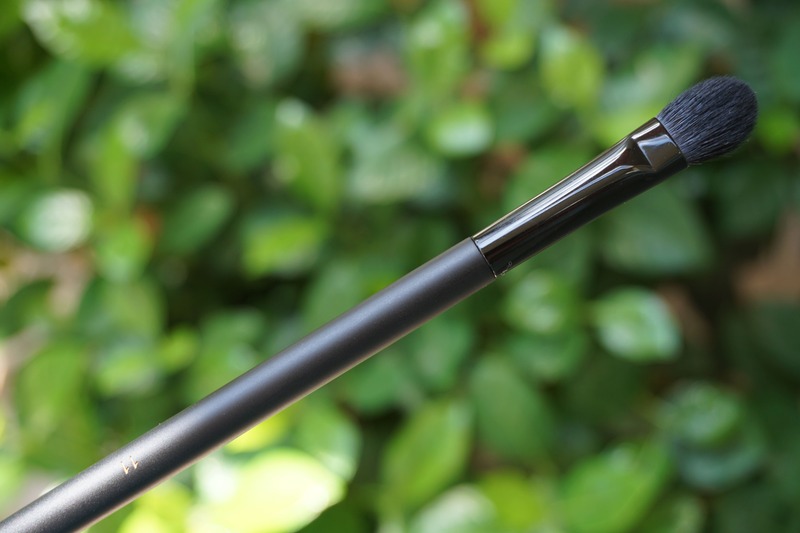 On the third generation, the magnets are positioned inside the handle in the center of the bottom. When the brushes came, they were inside individual plastic pockets and a firm plastic case was positioned around ferrule and hairs (I think jishaku #3 was not, but I cannot remember 100%). What was unexpected is that the brushes #7, #8 and #14 had their hairs stuck together as the picture above shows. No, they were not wet, they were stiff as if they had dried with soap on them. I suppose they do that in order to ensure that brushes hold their shape well until customers receive them. After taking this photo, I washed them with a little shampoo and they were fine when they dried. I guess plain water would have done the job as well. This is a new type of brush for me and I was really excited to try it as I had read so many reviews saying how nice it was and how soft etc. However, the type of hairs has changed between the 2nd generation and the 3rd. It used to be grey squirrel, which is indeed the softest, but now it is sokoho goat hair. Therefore, not so soft. It applies contour really nice but it took me one or two applications to get the hold of it. 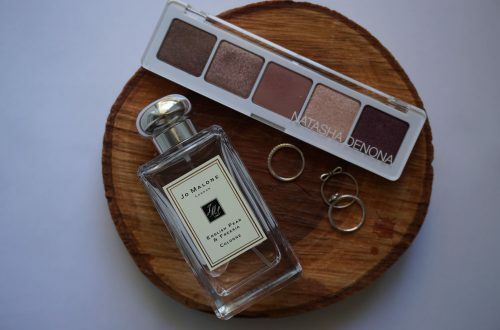 Jishaku #7 is great for a quick eyeshadow application all over the lid or blending. 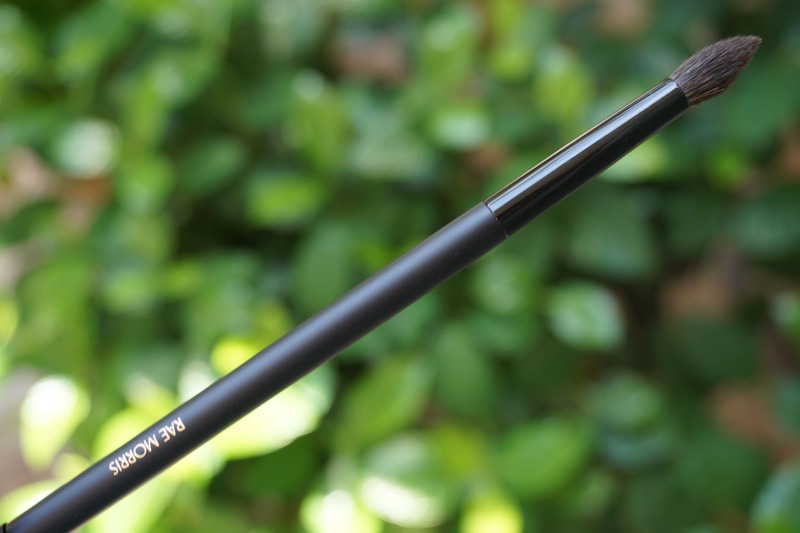 I like the fact that it is tapered and it can reach the contours of the eye. It is mad of grey squirrel and I am very happy with it so far! 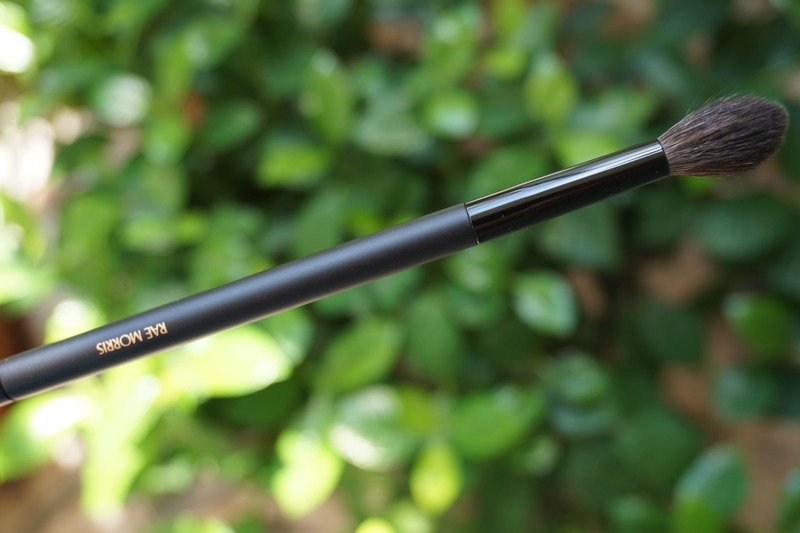 I ordered Jishaku #8 because I thought that its shape is quite unique and it would be perfect for eyeshadow application on the outer corner of the eye. I needed a brush to be soft and precise and it has not disappointed me at all! Grey squirrel again, and I am over the moon! 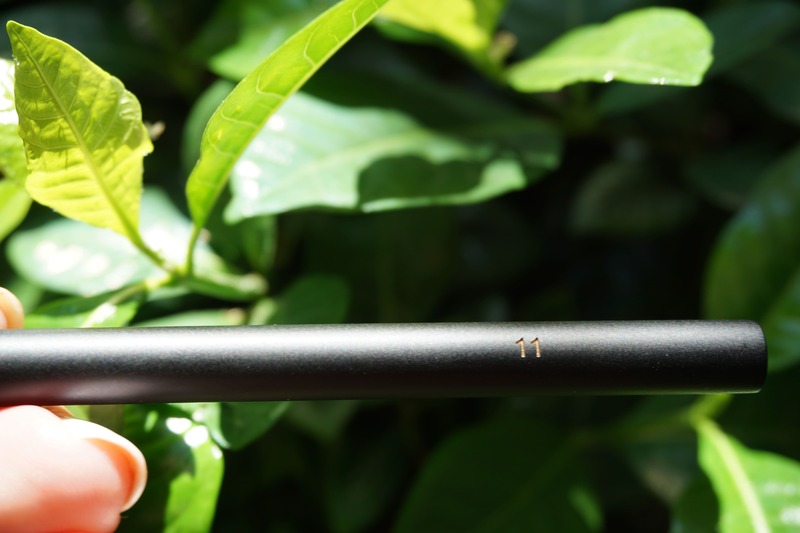 Jishaku #11 is made for applying eyeshadow on the main lid area. 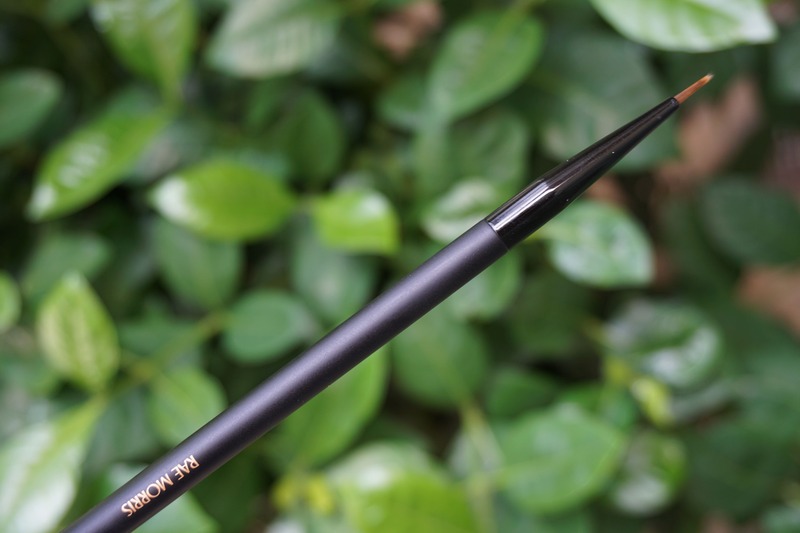 It is not as soft as the previous brushes, as it is made of sokoho hairs. It does a good job applying eyeshadow. I bought it because I liked the shape and I didn’t have any other Japanese brush of this shape. Jishaku #14 is the only synthetic brush from Rae Morris I bought. It applies creme eyeliner very well. Surprisingly I didn’t own a tip brush of this kind, as I prefer the small flat-oval shape more (like this one). So far so good, but maybe there are better options out there for this price tag. 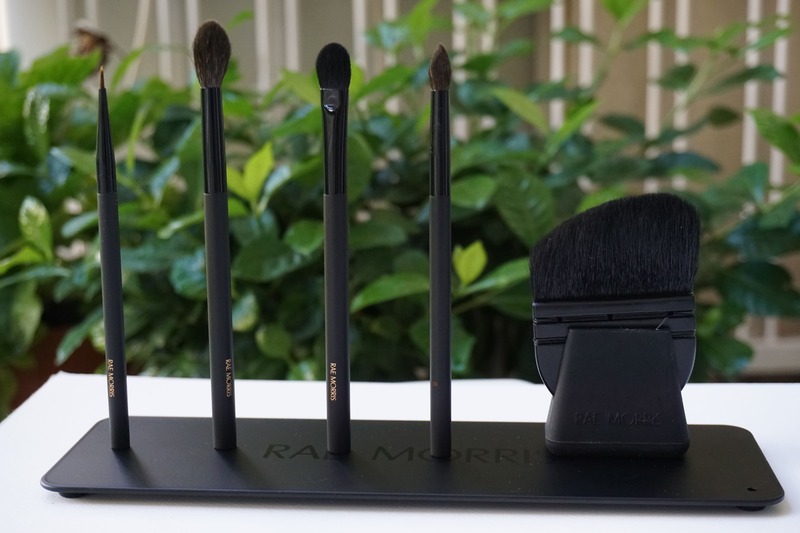 The Rae Plate is a matte black metal surface in order to store your brushes vertically. It is a pretty original idea, and the brushes look beautiful on it. I wouldn’t say it is absolutely necessary. You just make better use out of the brushes you’ve already bought, because you use their magnetic property (the magnet is installed in the centre of their bottom part). It is nice to use when doing your makeup, because the brushes won’t roll off the table. Also, It has the advantage that the brushes are not stuck together in a holder and therefore it is better for sanitary reasons. I am very pleased with the brushes so far. Especially Jishaku 7 and 8. 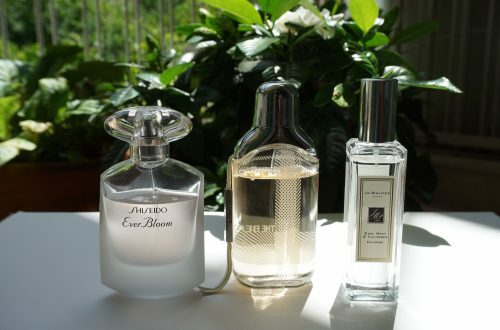 In general, I do think they are overpriced, compared to Chikuhodo Z series, because in the Z series all of them are made of the most delicate blue squirrel hairs and developped by Tesshu Takemori, who is another master brush maker. 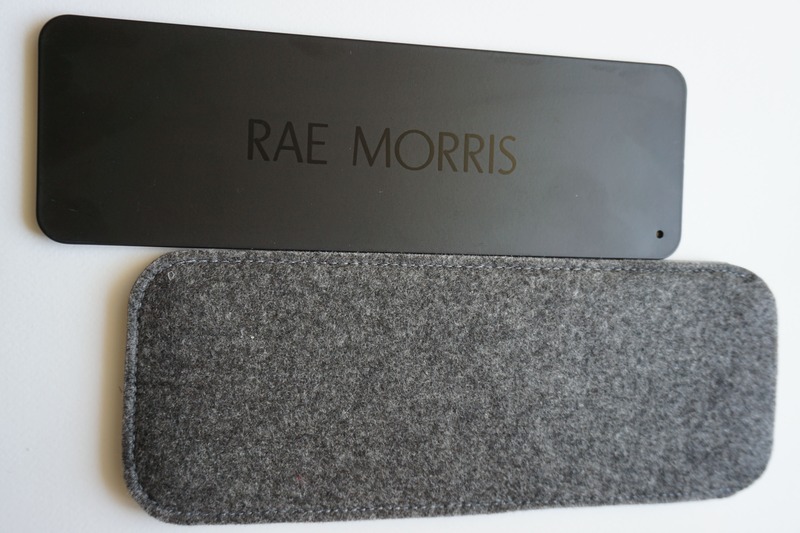 On the other hand, many other Rae Morris brushes are synthetic or use natural hairs that are not squirrel. Apart from that, they are very high quality, the handles are made of hard maple / cherry tree. You can tell the Japanese craftsmanship, the brushes give it off. The number of each brush is carved on the handle (with the exception of Jishaku #3), it won’t ever fade. So far, I am very pleased with those brushes, even the ones that are not as soft as I would expect. 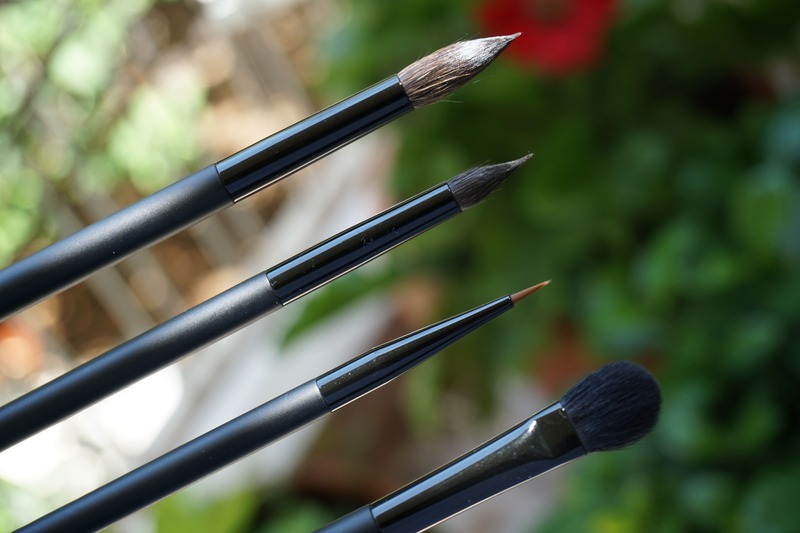 After some time, I am going to do a more in depth review of each brush, to see how it has performed, and I am going to make new posts about them, so you might want to check out my blog again.